We don't think of Georgia when it comes to being on the cutting edge of electrical power but that may be about to change. Brightwater Homes and its founding partner Charlie Bostwick, an avid outdoorsman and environmental advocate, is devoted to environmental responsibility when building homes. According to Brightwater they are completely committed to building a healthier and more efficient home. With that in mind Brightwater has partnered with Atlanta-based Hannah Solar in their new subdivision "Sweet Apple" being built in the North Fulton County town of Milton. This neighborhood of protected green space through a conservation trust will offer timeless farmhouse inspired homes. "Sweet Apple" will be Georgia's first residential neighborhood to include solar panels as part of their standard features package for all of its homes! They will offer a 10 to 12 solar panel roof array. Additionally they will also offer panels for a Tesla Powerwall back-up battery storage systems. 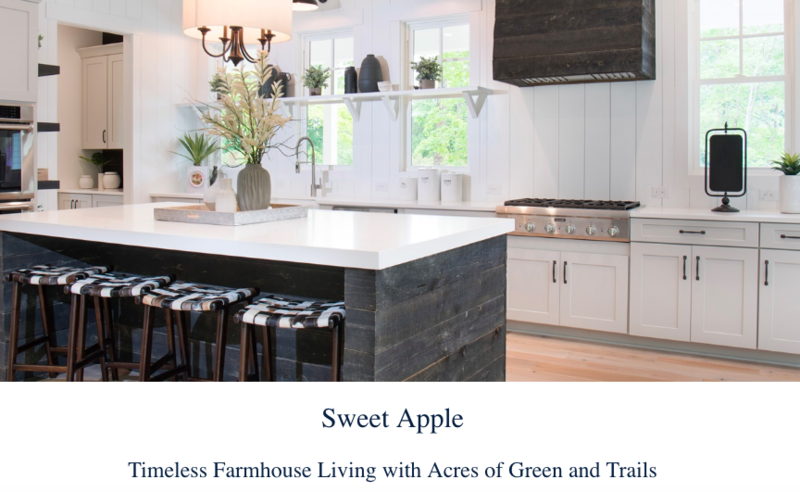 The natural beauty of this current green space will be respected and will remain as intact as possible with Sweet Apple initially offering 21 custom homes that are expected to range from $800,000 to more than $1 million.